A raging foe charges toward you. You grip your sword steadily and set a firm foothold. Their weapon clips your hand, but you calmly fend off the attack. Your hands remain unscathed, safely shielded by the Sulla Leather Gauntlets. 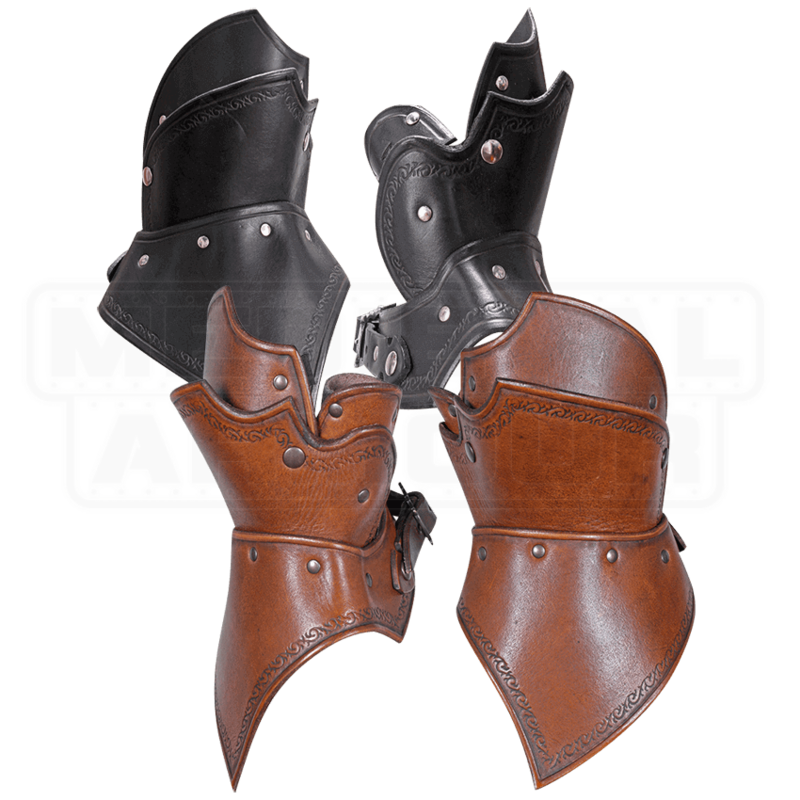 These trusted hand guards are construct from high-quality leather. Rivets and embossed patterns run along the detailed edging. Hand and thumb loops on the inside enforce a secure fit. Adjust for your comfort with the buckle strap at the wrist. 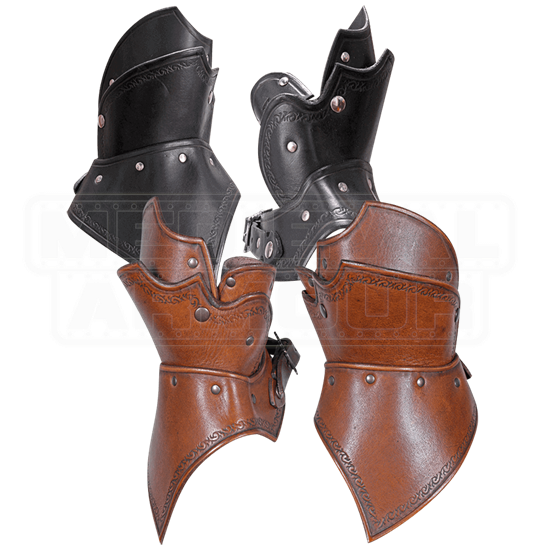 The traditional style of these gauntlets allows for versatile matching with various armour sets. Increase the medieval flair of your reenactment armour by adding these gauntlets.